Whilst it’s no longer summer, it’s still really important to keep hydrated, especially when it comes to your little ones, who we know don’t always know when they’re feeling thirsty. I’ve found this particularly true of my 16-month old daughter, who I personally have to encourage to drink water throughout the day. On doing a bit of research, I was surprised to see that children have higher water requirements in relation to their body weight than adults . So, it’s super important to make sure your little ones are kept sufficiently hydrated. Research also shows that children who are hydrated perform better in school – and as parents, that’s something we all want for our children, especially when it comes to the dreaded parents’ evening! Water helps our bodies in so many crucial ways: it carries nutrients to cells; flushes toxins from vital organs and helps us control our body temperature. 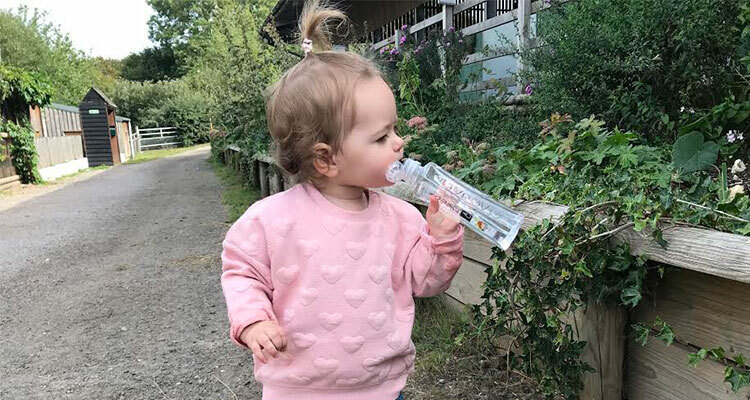 Getting young toddlers and children to drink tap water can often be tricky, so when I came across AQUA Carpatica Kids, a new, nitrate free mineral water that has won awards for its taste, I was keen for my daughter to give it a try. Research shows that children should be given plain, natural beverages that are free from additives, and aim to have six-eight drinks each day. As a parent, I’d be thrilled if one of those drinks came from a pure, natural source, let alone six-eight of them! AQUA Carpatica Kids goes through a natural 20-year filtration process before it’s bottled and stacked on our shelves. Sourced from the Carpathian Mountains, rich in woodland and wildlife and unspoilt by civilisation, the product you see in store is virtually nitrate free, low in sodium ( only 0.6 mg/L) and low in mineral content, making it as pure as water can be. 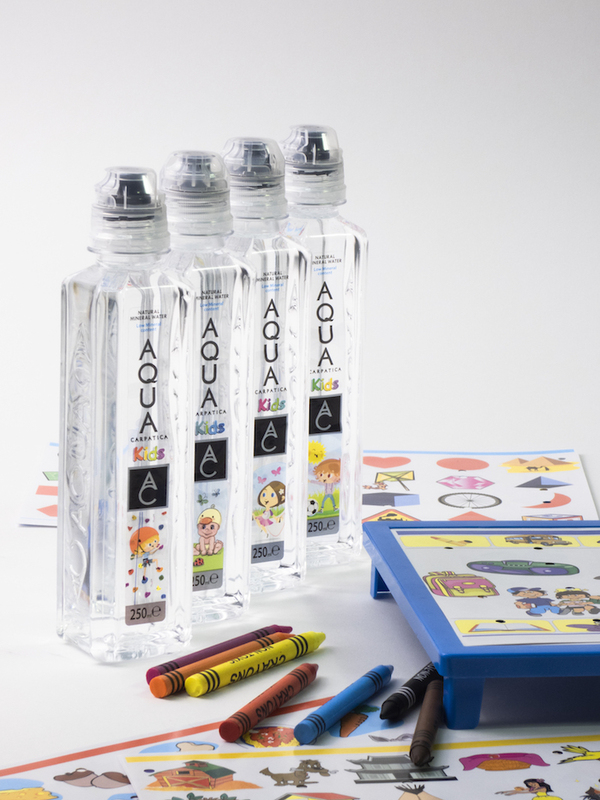 The people at AQUA Carpatica know that our little ones can often be the trickiest to keep hydrated, as they are often the most distracted! 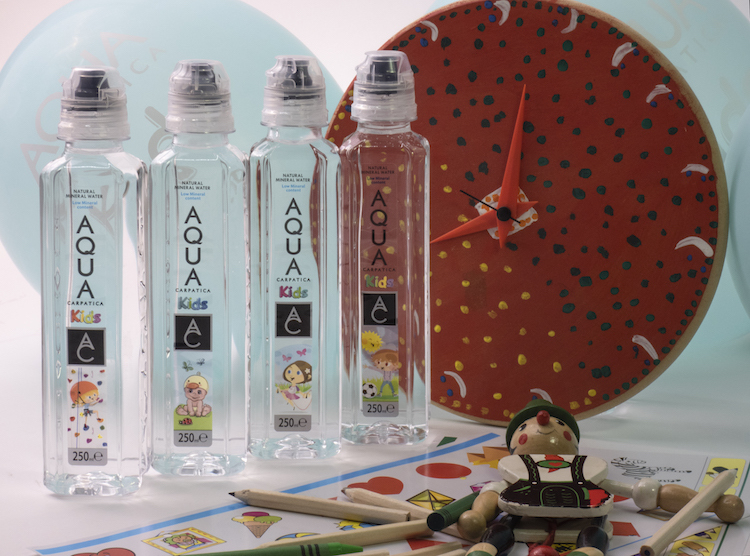 Their water bottles, sporting one of eight playful designs (my favourite is the child with the adorable duck hat! ), have been created especially with small hands in mind. My daughter loves the 250ml bottles, and when she throws a half empty bottle across the room after a few enthusiastic glugs, the brilliant toddler proof one-way valve protects the carpet and wood floors from leaks and spillages. The slimline bottle makes it a lunchbox essential and perfect for keeping in your changing bag. We love that fact that AQUA Carpatica strive to care and protect the natural springs and environments that surround them. They use environmentally friendly technology and work with local authorities and conservation programmes to protect and develop the mountain’s wildlife.